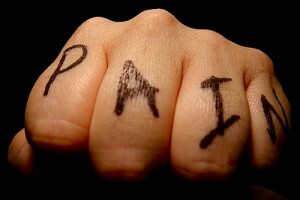 Fibromyalgia is a pain…..literally. It has been described to me by sufferers as “arthritis on steroids”. The disease is not a killer, but it certainly makes life miserable for the six million people suffering from the disease in America. You can see how a connective tissue problem can cause pain all over in and around your muscles. Now that you have a basic understanding of what fibromyalgia is, and why it is so painful, we can address what can we do about it? We can start by acknowledging that medical doctors don’t cure fibromyalgia. In fact, the prescriptions they often make to mask the pain or help you sleep typically increases the toxicity in your body. Don’t blame the physicians, as they have never received training on how to help people proactively live healthy lives. What a crazy system! There is hope, as there are a few forward thinking physicians who are learning how to focus on the importance of what we put in our bodies as the logical solution on how to prevent future problems. I spoke to an enlightened physician this week who certainly “gets it”. I believe your best bet is to visit a Naturopathic Doctor, who has trained for years on how to diagnose symptoms and provide natural cures. If our social system paid for visits to Naturopathic Doctors, we would have a much healthier and happier population. The minimal cost of a couple of visits to a Naturopathic Doctor for preventative guidance would certainly save the system billions of dollars per year down the road. What do you do if you can’t afford to visit a naturopathic doctor, or you want to avoid the cost of their services? Well, you can do what they would tell you to do. Naturopathic doctors will tell you that your body is probably too acidic and explain to you the importance of being alkaline. Our bodies are meant to be alkaline, and our highly acidic diets puts enormous stress on our systems. When you eat foods that create acid in your body, most of the toxic waste is eliminated from your body by the bladder and bowels, and some is eliminated by breathing and through the skin. However, some of the waste is stored in protective fat cells, and some is absorbed into the blood stream and carried throughout your body. The key to dealing with almost any disease, and especially fibromyalgia, is to eat an alkaline diet and drink alkaline ionized water. While converting to an alkaline diet is often a struggle, drinking ionized water is simple and very effective. That doesn’t mean you can drink alkaline ionized water and continue to fill your body with acidic foods. I found that starting with the water allowed me to experience the benefits of being alkaline, which encouraged me to slowly convert to a more alkaline diet as the benefits became more and more obvious. If you suffer from fibromyalgia, I recommend that you speak to your Doctor, or better yet, a Naturopathic Doctor, about how to become more alkaline so that you will be able to deal with, and eventually overcome the painful disease. As always, the information in this article is provided by quoted sources or the personal opinion of the author. It is recommended to consult your health care provider on important health issues.